It’s great to go down to your local casino every now and then. If you can’t make it though, go to the Unibet Casino instead. It’s full of great games to play and plenty of promotions to access a summary of the views of this Unibet review can be seen in the table below. When you decide to join the Unibet Casino there is a great casino welcome offer just waiting for you. It’s an offer that is dependent on the amount of money you put into your account when making your first qualifying deposit (it has to be at least £10). Players joining the Unibet casino receive a 200% match of that first qualifying deposit and it can see you receive a bonus of £200 if depositing the maximum £100 allowed in this welcome offer. This can be used on any of the Unibet casino games, Live Casino, and Bingo products, whether you are playing on your PC or your mobile device. 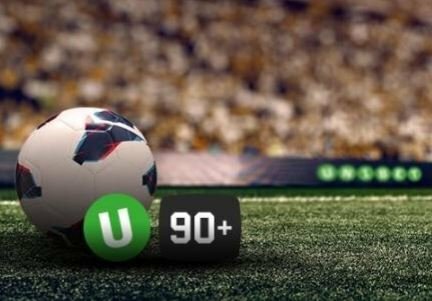 Different games on the Unibet site contribute varying amounts towards that wagering requirement. Table Games and Video Poker played at Unibet only contribute 10% which this Unibet review thinks isn’t that helpful. You are best off playing slot games that contribute 100% and bingo which has a 200% contribution. It’s possible to satisfy those wagering requirements but how much you will have left of it is questionable. If you accept this offer you will not be able to access the sportsbook welcome bonus. Whether it’s playing the slot games, trying your luck on the roulette wheel or hoping the next card in Blackjack is going to be a lucky one, you will enjoy playing at the Unibet casino. It’s the view of this Unibet review that there is an excellent range of top games on offer. Slot fans have the chance to play games such as ‘Starburst.’ ‘Rainbow Riches’ and ‘Cool Jewels’ at the Unibet casino, With software provided by companies including Microgaming and NetEnt, you are guaranteed an exciting selection of games to play. There are also games exclusive to the Unibet site such as ‘Leprechaun Goes to Hell’ as well as Jackpot games such as ‘Mega Moolah’ where you could become a millionaire on one spin of the reels. This Unibet review began with mentioning trips to the local casino. Well, the Unibet site has an entertaining Live Casino on offer. A bit like going down that local venue but without all the travel costs and taking ages to get home. It has your favourite casino games and some attractive dealers too. There is also a good selection of bingo games on the Unibet Casino site. Eyes down for a wide variety of bingo games and tournaments. This Unibet review is pleased to see that there’s information available about all the games and you can either play for fun or for real. Playing for fun gives you a good chance to learn how the games play (as many will be new to you) before risking your real cash. The Unibet site always has other promotions for its customers though this Unibet review has to say I’ve seen others with more. There’s a variety of tournaments on the site and also on the Unibet Casino there is the VIP programme. You need to be invited to this and it is for loyal customers who use multiple Unibet products. Once you are a member you are allocated a special account manager and treats could include going to the Champions League Final or Monaco Grand Prix. Why not a usual VIP loyalty points scheme? For new customers there is Unibet prmo code to use during the sign up process. The Unibet Casino can be played online and on your mobile devices. This isn’t a casino that has to be downloaded onto your PC. You require flash player and there is a Unibet Casino app. To get hold of that access a simple page which has all the necessary information and links. The deposit and withdrawal methods for the Unibet Casino are Bank Wire Transfer, Maestro, MasterCard, Neteller, Paysafe Card, Ukash, Visa Electron, Visa and Skrill. The only fees charged are 3% on a Paysafe Card. The minimum deposits are £5 for all except bank transfers where there is no minimum and the maximum withdrawal with a debit/credit card is £50,000 and again no limit with a bank transfer. There is a wide range of currencies that can be used on the Unibet site including Pound sterling, US Dollars, and Euros and this Unibet review is impressed by that.. There is plenty of help available on the Unibet site. There is a dedicated help page packed with information. Also, there’s the Unibet community page that has plenty of threads about queries made by customers. The Unibet site also offers a Live Chat facility. This is available 24/7 so hopefully they will be able to deal with your bonus related queries. It is also possible to call their Freephone number 0800 329 393 or their international number 0207 257 8701 or email info-uk@unibetsupport.com. A quick look around the web shows that there is a great deal of satisfaction with the customer support available at Unibet. 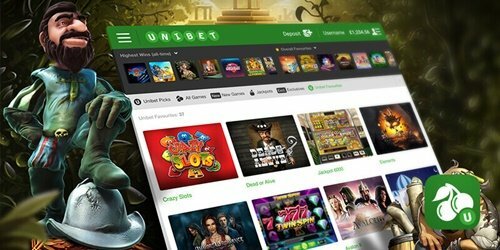 This Unibet review concludes that there is plenty to enjoy about the Unibet Casino. It has a good welcome offer and although it has a high wagering requirement it is able to satisfy it. The selection of games is impressive and there are some good promotions here but the Unibet casino could have a better loyalty program. Even so, this site is definitely recommended.